When I was growing up, we always tried to get Daddy the perfect gift. For his birthday. Father’s Day. Christmas. And it was always a challenge. One year we knew he had said something about really liking the music of one particular group. Between us children and Mama, all we could come up with was the name started with M.
We looked and searched and listened to the radio. (This was pre-Google by the way.) And then, after hearing the latest hits, we knew. Of the “Who Can It Be Now?” and “Land Down Under” fame. Daddy was very gracious about it. He even liked the music on that cassette tape. 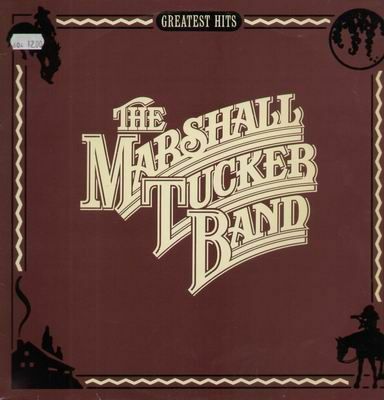 But no–I’m not sure how it eventually came out, but it was the Marshall Tucker Band he’d originally mentioned. Now if you’ve heard music from both, you understand just how gracious he was. Because they are very different. I love this memory for so many reasons. Another trip down Memory Lane happened when Aub was playing music for Cooter to help him focus on his lessons yesterday. They are both trying to convince me he learns better when music is playing. I don’t know. I thought so at one point, but when some songs come on, he jumps up and starts singing and dancing and yeah. I’m thinking not so conducive to the learning in those moments. When I heard the beginning notes yesterday, I knew. And I went back in time almost 38 years. My brother was a baby. Daddy had just taken him out for his first ride in Daddy’s old pickup truck. Mama was cooking supper, listening to the radio, when the song came on. “Mamas, Don’t Let Your Babies Grow Up to Be Cowboys” by Willie Nelson. She knew what a big moment this was for Daddy and my brother and when the lyrics played, I think she let out something somewhere between a laugh and a cry. She knew it was all over then. And the song always made her smile. “I thought they’d already done a Farewell Tour,” we both said at the same time. And then we laughed together. I love how music is such a part of our memories and our lives. Tonight I’m thankful for a Daddy who was gracious and never ceased to amaze me with his “outside the box” appreciation of music. I think I know where I got my eclectic taste from. Daddy really enjoyed old country, but over the years “You Are” by Lionel Richie, “True Colors” by Cyndi Lauper, “Total Eclipse of the Heart” by Bonnie Tyler, “Reason to Believe” by Rod Stewart, and even “Karma Chameleon” by Boy George and Culture Club, for goodness’ sake, were added to his list of favorites. This doesn’t even include the alternative musicians he listened to and enjoyed. He used to say anytime he heard “You Are” by Lionel Richie, “I don’t know if he did or not, but he should’ve gotten an award for that one.” And my Daddy was not one to repeat himself unless it was really important. Tonight I’m also thankful for parents who surrounded us with music of all kinds and recognized the value of listening beyond the sheer pleasure of it. I am thrilled that my children have inherited a rich musical legacy of listening to all types of music and that they are able to develop their own tastes. Wishing you all a day filled with music you love, with one or two new ones to try on for size thrown in there as well. The album cover I remember from growing up. Oh, girl that was a beautifully crafted memory to share. You immediately touched a chord with the music selections you commented on and made me think of many more of my own. Thanks for the stroll down my musical memory lane! Thank you for reading, Debra. I am glad it sparked a happy trip down Memory Lane for you.